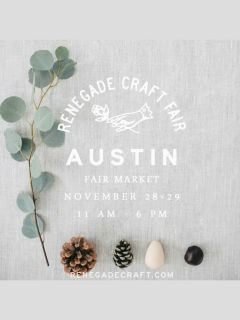 The Renegade Craft Fair is returning to Fair Market for the Holiday Fair. As always, it will feature a thoughtfully curated selection of the finest indie-craft goods, perfect for all of your holiday gift-giving needs. Attendees will enjoy a weekend of shopping handmade, participating in DIY workshops, and joining in on the festive holiday vibes.